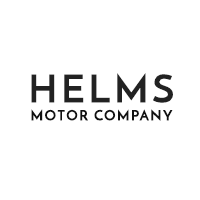 Chrysler, Dodge, Jeep, Ram and Used Car Dealer in Lexington | Helms Motor Co.
Over fifty years ago, Max Helms opened a small car dealership in Lexington, Tennessee. His three sons, Randy, Steve, and Rob, helped him run the dealership, as well as the family farm (which is still in operation today). Throughout the years, the company grew to have one of the largest inventories in West Tennessee, but its principles remained constant: to place customers at the center of attention, to give back faithfully to the community, and to provide a collaborative place for current and future employees to grow their careers. Today, four generations of the Helms family have worked in different positions throughout the car dealership and family farm. We continue to train our younger family members under the same principles listed above to ensure sustainability of the family businesses in the future. We remain confident that we will be able to serve Lexington, Savannah, Jackson, Henderson, Parsons, and the remainder of West Tennessee, Middle Tennessee, North Mississippi, and beyond for many years to come. To learn more about the family and what we can do to better serve you, please contact us online or give us a call at 888-547-2425888-900-5251. We thank you for your continued support, and we look forward to serving you for many years to come.